We were approached by Howzit Media Marketing to create a symbiotic relationship in regards to offering seo consulting and services, as a result of this relationship Howzit Media went through both a name change and change of business offerings. They were originally a creative agency and have developed into a Fully fledged marketing company who are situated on Fort Lauderdale, South Florida. One of the services they had numerous requests for was SEO consulting. Having never really performed any Search Engine Optimization or SEO at any significant level, they had always turned the work away. Our task was to ensure that they would be able to offer this as a high level and primary service into the highly competitive market of Fort Lauderdale and South Florida. We began by performing as SEO Gap analysis of the website and some of there major online and brick and mortar competitors. We the began analysing the data to ensure that we had a clear picture of what lay ahead of us in terms of the amount of work we had to do, both to the technical aspects of the site and content in addition to the off site SEO. Howzit Media's website had never really ranked on keywords for anything below the top 100 search results, our task was to ensure that we where able to gain significant ranking improvements to a number of key service keywords and phrases, to ensure that our presence was felt on the top few pages of Google. Within 7 weeks were ranking for 19 page one results for our selected keywords and phrases and many more in the top 20 - 50 results. Almost all of these substantial changes in ranking has come about initially through the development of a content strategy and a blog platform that has allowed us to promote our services and products to our potential clients in detail. Some of the additional items that we created other than the written content, was increased social media activity, great eye catching graphics and video that was positioned to help with our content. We ensured that we added Google analytic s to the site again so that we could track the changes to the traffic and engagement levels that resulted from the improved content. We have had over a 200 % increase in traffic and our bounce rate has dropped substantially. We added HotJar to the site to monitor visitor movement and engagement on the pages and forms to further enhance the visitor flow and ensure that it was conversion rate optimised. The SEO and marketing web space culture in Fort Lauderdale, Miami Dade and the Tri state area in South Florida area is a highly competitive market space into which we launched, but with the Gap analysis data at our disposal and having done the competitor research analysis, we knew exactly what was required for us to achieve the desired results. If you feel that we can be of assistance in getting you similar results, please contact us. We would love to hear from you. The promotional bus or coach hire business in the UK is a multi million pound industry that see the number of high value enquiries across the website from large marketing agencies and Blue Chip companies a daily occurrence. As you can imagine, it makes it a great business decision to spend a good proportion of your marketing budget on productive SEO and targeting the high value keywords and phrases. 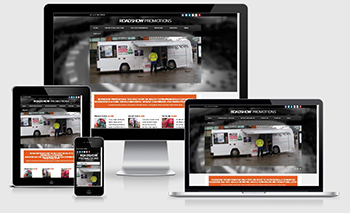 We have been consulting into "roadshow promotions" for a few years now in the capacity of SEO Consultants only, as the current owner is a very skilled developer. Having said this he came to recognize his limitations when it came to achieving the results he desired on the Google search Platform. As can now be seen from the results, anything to to do with "NHS health bus or "promotional bus" or coaches, they rank for multiple positions on the first page of Google for many of the key words and phrases. They have dramatically improved their position over time across a number of keywords and now rank on page #1, Position 1 of Google UK every time. Over time we have had a domain name change from a dot com to a dot co.uk and have pulled through a number of keywords that we really liked, and is usually the case in these high value markets, they were in high demand, making our task all the more difficult to achieve. We created a strategy and a roll out plan in order for us to targeted them with specific content in order to get them onto the rankings. Over time we have worked both on page and off page to move from what was our current position, to Google s first page and then onto Page #1 Rank #1. It is sometimes more difficult to move up single positions on the Google rankings on page one than it is to get to page #1. The increase in the number of enquiries that the being on page one brings with it, in this particular case, the sheer value of enquiries is quite phenomenal when one looks a the average value of each enquiry being in the region of £35 000 - +£100 000. The owners conversion rate on leads generated across the website is outstanding. In what is a multi million pound industry here in the UK. The amount of time that was spent on consulting was not huge and the ROI on his investment as a percentage of this runs into the 1000's %, a very worth while investment indeed with a phenomenal ROI. Whilst the majority of the enquiries are local we also have enquiries from Europe, America and Africa, this shows that even on a Global scale, the content management on the site is world class. As an overview to some of the Organic SEO that we have seen undertaken include the building of other vertical market micro sites, (some not so micro sites), Back linking, various types of On page content management and Off page seo work. All work was undertaken to strict web master guidelines. In more recent times we were able to convince the owners of the necessity of undertaking a planned roll out of regular social media posts onto newly created accounts, this has been undertaken and in this case, it is Facebook that has been the clear winner for them. Wild Fig Media was contacted to develop this site for the owners, the brief asked for a visually stunning site with a full image on the background. The site was to be simple to opearte and add to, the abilty to offer a gallery and had to integrate a simple "Freetobook" booking module to allow people to book directly from this site. A pre requisite of for the site was that it also had to be fully responsive to allow viewing on any device, from desktop to mobile phone. Due to the nature of the tourism industry on the isle of Skye, it was also necessary to include a multi language function to allow for on the fly translations. 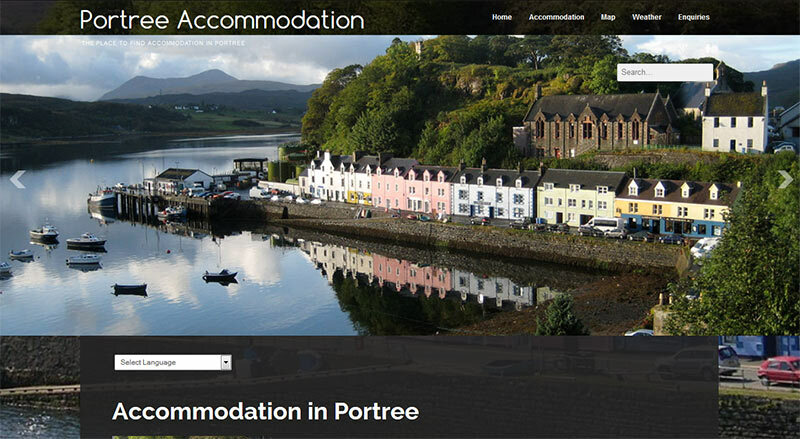 Portree Accommodation - Accommodation in Portree on The Isle of Skye - Contact us today. We where approached to develop a low cost, simple E commerce site that would intergrate the payment system with paypal. The Site was built on the Joomla 3 platform with the the ecommerce platform allowing "products" or "services" to be built inside std Joomla articles. 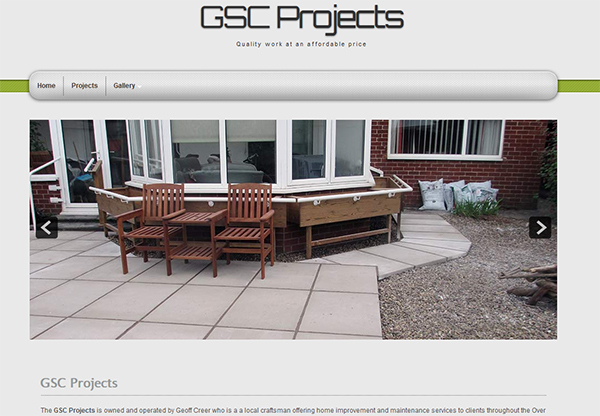 The website is fully responsive to all device platforms and screen sizes. 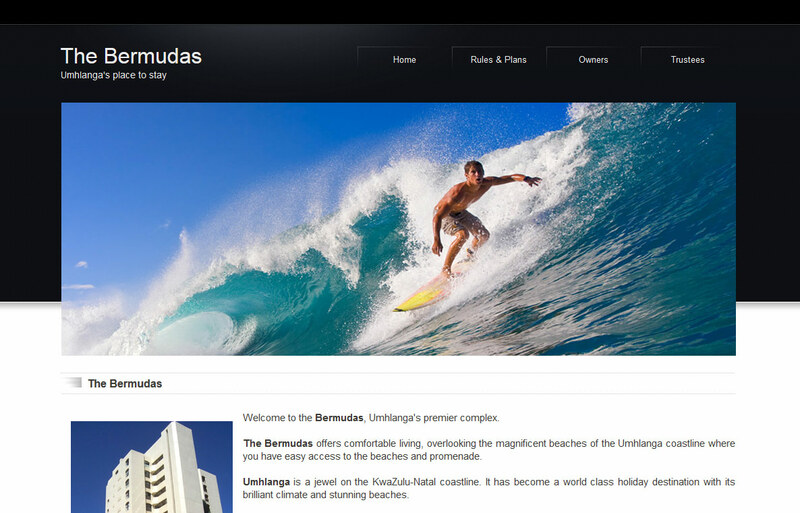 Wild Fig Media was commissioned to build the current website for the Bermudas in Umhlanga Rocks near Durban, South Africa, this was to replace an older website which was causing security risks due to the old code that was used in the original build. The website was built on a Joomla Platform with login privileges for the current owners. The website has a slider that is positioned at the top of the site that reflects some of Durban and surrounds. The site has a full gallery for potential owners to view the property.